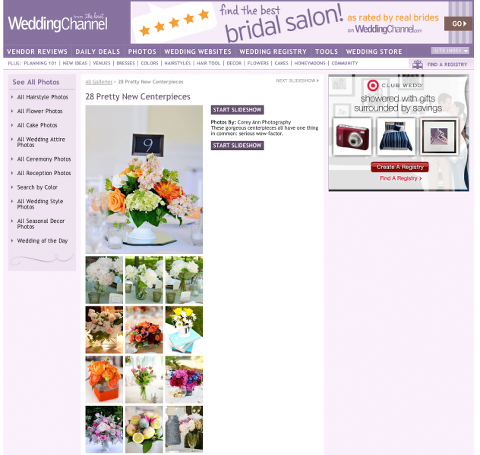 Another image from Sarah & Zack’s gorgeous wedding has been used, this time on the Wedding Channel in a slideshow of centerpieces. I ADORED them so much and I’m glad they are getting some air time!! Props to Heidi for making that 9 perfect!